Rose & Lily Centerpiece. Your Choice Of Colors, Flowers. Wedding, Shower, Party, Gift. 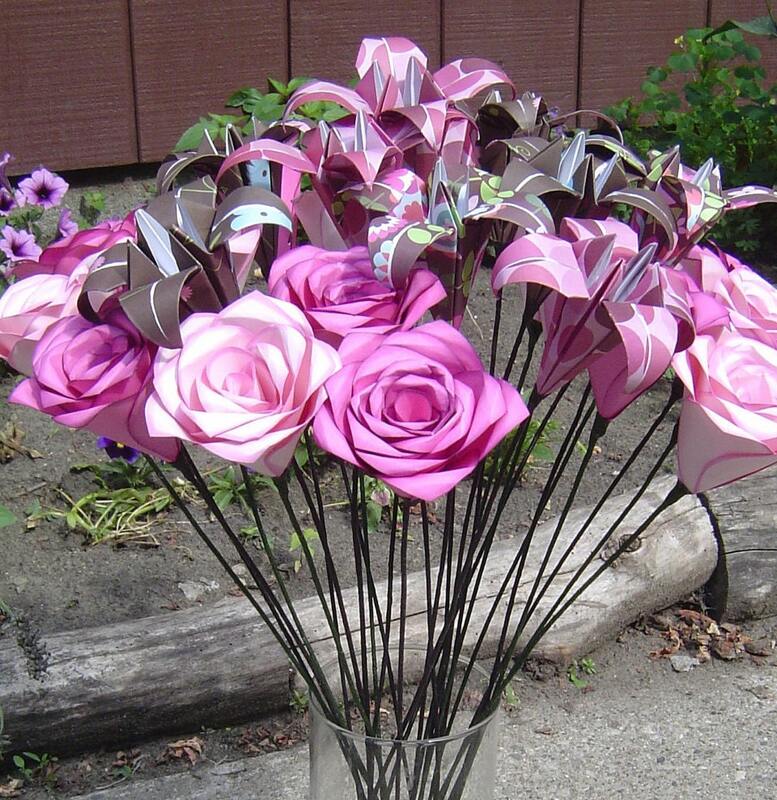 This listing is for a centerpiece bouquet of roses and lilies, all made from paper, IN ANY COLORS YOU WANT! 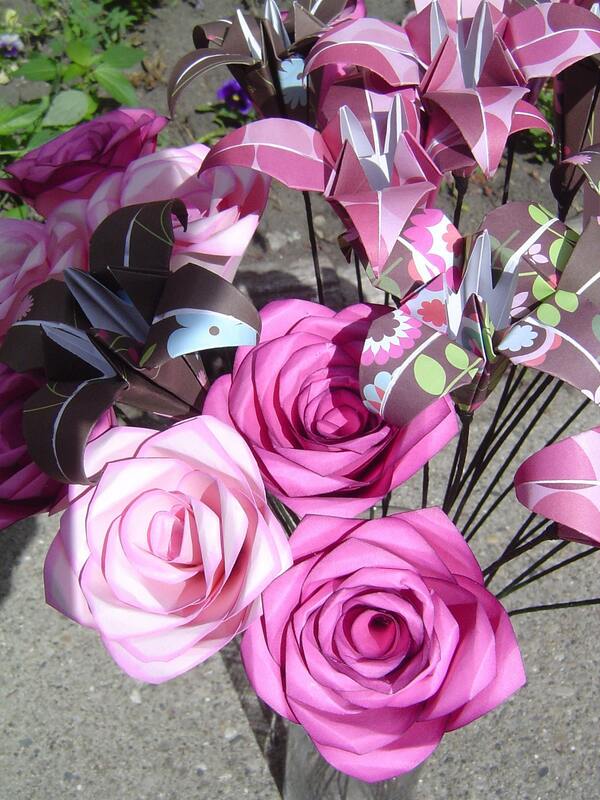 The roses are all hand-cut and assembled with love and care. 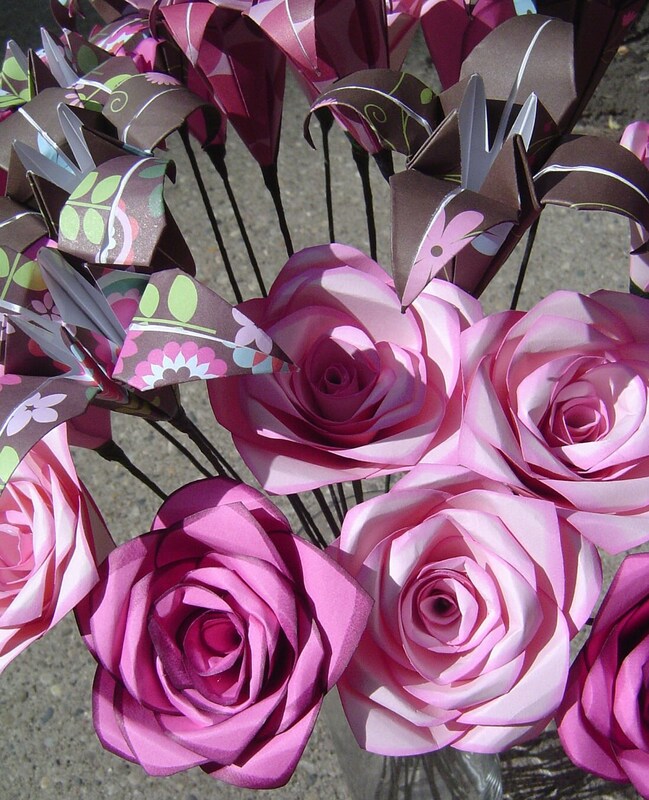 They are beautiful for any wedding, shower, or just to have around the house. They are hypo-allergenic...and they last forever!!! This listing is for 24 flowers. 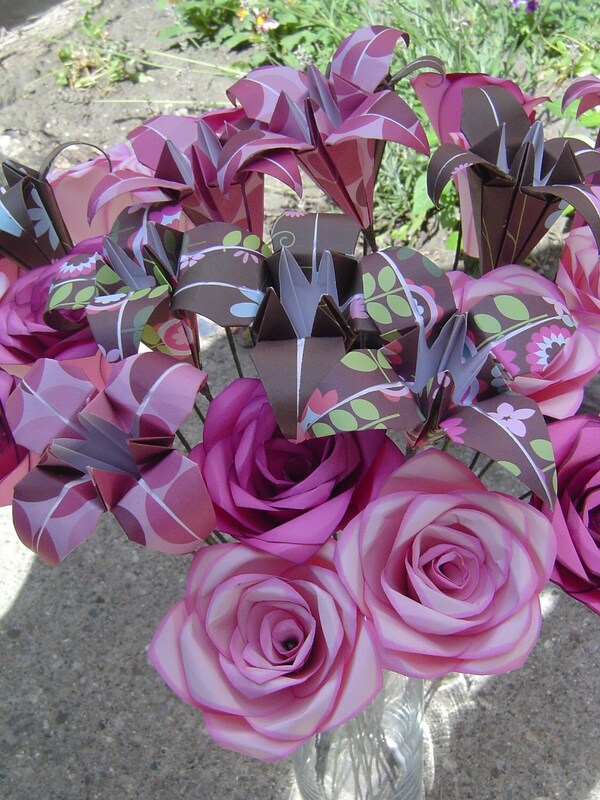 Shown in the photos is an example of a pink and brown flower bouquet. I make these for any occasion. If you would like to order a bouquet, send me a message and let me know what colors you would like. 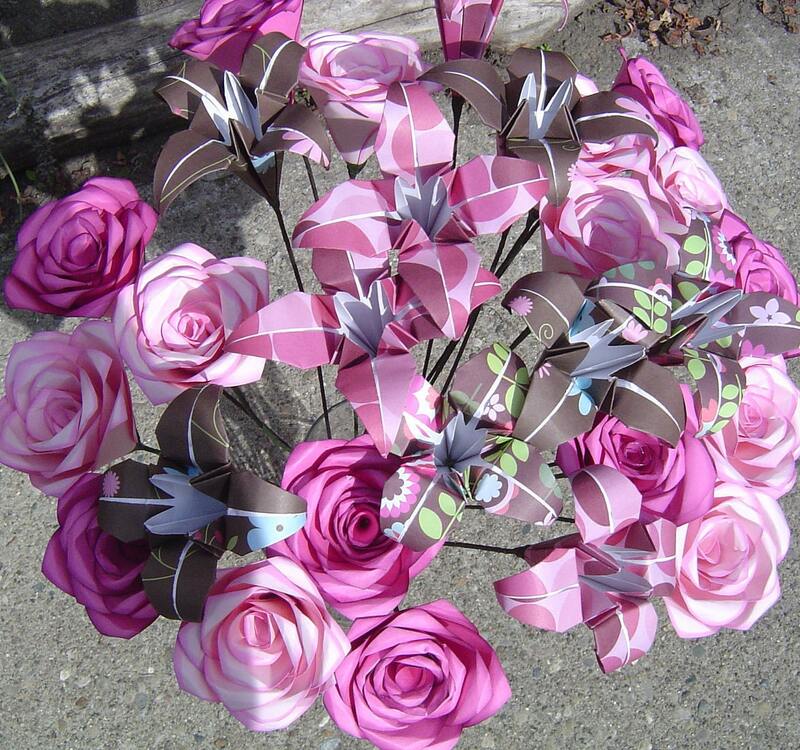 The bouquet in the photo is just an example of the cool flowers I can make. I can also make other flowers. Just ask!! !